Happy Monday, writer peeps! Today’s list is short and sweet but I’ve managed to include a few great opportunities for all skill/experience levels, including a few entry level gigs for those looking for freelance writing jobs for beginners. Of course, there are also a couple of opportunities specifically for my fellow Canadian writers. Happy Monday! Pour yourself a big ol’ Monday-sized cup of coffee and have a look through today’s list of writing job leads. There are online writing jobs for those looking for freelance writing opportunities that enable them to work from anywhere, as well as some in-house writing jobs for my fellow Canadian writers. I’ve also included a couple of calls for submissions. You can have my list of writing job leads delivered right to your inbox by following via email using the link to your right. If you have a writing job and are looking to hire a writer, you can submit a free job ad here. Just include the details and I’ll get it posted for you right away. See you tomorrow with another list of paid writing job! SPRING SONG PRESS – OATH & IRON ANTHOLOGY – This anthology will be published in ebook and paperback formats. They are looking for stories from 1,000 to 10,000 words. Stories must have a fantasy/speculative element. They have a strong preference from noblebright stories. All stories must address the “Oath and Iron” theme in some way. Payment is 1 cent per word. CURIOSITIES – This is a speculative fiction anthology podcast and magazine. They are open to submissions until June 30th. 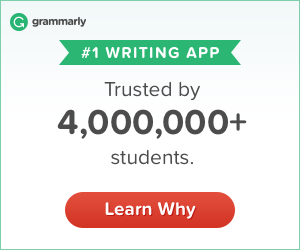 They buy original short stories up to 7,500 words. Payment is 3 cents/word for original and 1 cent/word for reprints. Seeking a ghostwriter for a romance novel project with the opportunity for long-term work. Ghostwriter must be experienced in writing in the contemporary genre, Dual POV, and also be able to write Deep POV. I prefer someone who takes the craft seriously aka attends workshops, classes, etc to hone their skills. Must understand beat sheets, dead words, showing vs telling, etc. Portfolio/ writing sample is a must. I prefer someone who’s been traditionally published (even if you currently self-publish). Or someone who has been an editor for a publisher. Most projects will be around 75k words and be steamy (steamy does not mean erotica but erotica writers please feel free to reach out). * You must be Native English speaker. * All content must be 100% original. No plagiarism. I will be verifying this, and you will not be paid if the content is not original. * You must be familiar with writing romance. * Final product must be proofread and free of grammatical and spelling errors. Writing Jobs, June 6, 2018. Day two of getting a list posted. I’m on a roll! 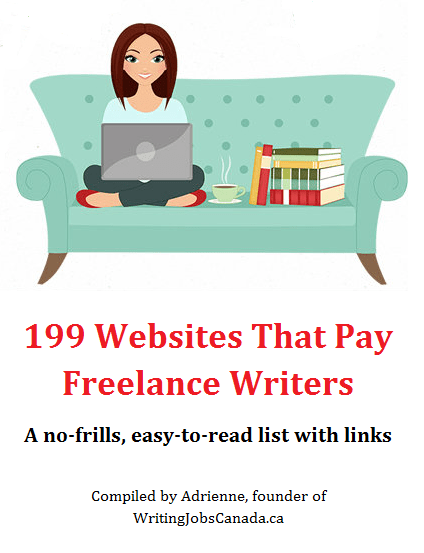 Today’s list is a mixed bag with a little something for everyone, whether you’re a new freelance writer or seasoned writer. I’ve also included a few calls for submissions in various genres for those looking to submit fiction and essays. Don’t forget that you can have my list of writing jobs delivered right to your inbox by following via email using the link to your right. If you have any questions about how to be a freelance writer, feel free to send them my way (contact link above) or post your question in the comments below so other freelance writers can chime in and offer their wisdom. LampLight – A literary magazine of dark fiction, they accept short stories and flash fiction that are dark, creepy, weird, and unsettling. No stories with vampires, zombies, serial killers, werewolves, hitmen, revenge fantasies, cannibals, high fantasy, or excessive gore or abuse against women. Payment for u published fiction is 3 cents per word to a $150.00 maximum. Reprints pay 1 cent per word. The current reading period ends June 15, so you’ll want to get a jump on it! Nexis Fantasys – This anthology’s theme title is “Corporate Shadows” and inspired by the recent net neutrality rulings. They’re open to speculative fiction, suspense/thriller, supernatural/horror, or science fiction of 2,000 to 15,000 words. Payment is 1 cent per word. Submissions close July 01, 2018. Chicken Soup for the Soul – They have several books in development and are open to submissions. They prefer stories that are 1,200 words or less. The deadlines vary per title, so be sure to check the specifics of the book you’re interested in contributing to. Grandparents – Deadline August 31, 2018. Life Lessons from My Cat – Deadline October 31, 2018. Life Lessons from My Dog – Deadline November 30, 2018. Mom Knows Best – Deadline March 30, 2018. More Messages from Heaven – Deadline July 15, 2018. Running for Good – December 15, 2018. Stories about Angels – Deadline July 15, 2018. Stories about Miracles – Deadline July 15, 2018. The Golden Years or Second Wind – Deadline December 30, 2018. Yeah, I’m a bad blogger and for that I apologize. Again. Packing for a move and freelancing is hard work! Will do my best to post a regular list of writing jobs and will continue to share job posts that are sent my way. Promise! Today’s list of writing jobs includes online writing jobs for writers anywhere, including a couple of freelance writing jobs for beginners. I’ve also included some Canadian writing opportunities and one in particular that was sent to me by Social Capital Partners in Toronto that sounds amazing for a writer in the GTA that’s looking for a great salary and benefits, but the flexibility to still pursue other writing opportunities on the side. They’re definitely down with the side hustle, which is a perk for any freelance writer! See you tomorrow with another list of writing job leads. Thanks for visiting WritingJobsCanada.ca – Not just for Canadians!